State senator Ron Calderon has taken a plea deal and played guilty, looking at a set of five years 10 months. Weeks before he was scheduled to go to trial he pled guilty to mail fraud. The Calderon brothers were indicted on two-dozen counts, including wire fraud, mail fraud, honest services fraud, bribery concerning programs receiving federal funds, conspiracy to commit money laundering, money laundering, and aiding in the filing of false tax returns. 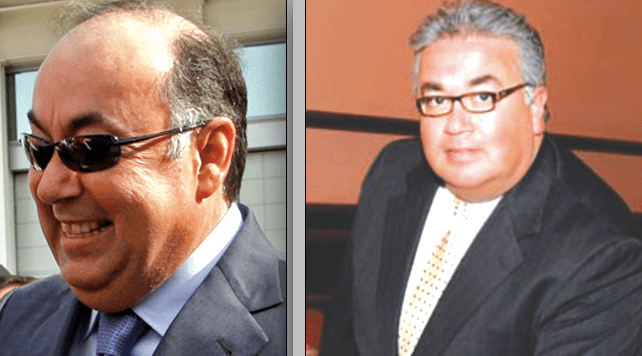 Ron Calderon – whose trial is set for July 19 – is accused of accepting $80,000 in bribes, as well as gourmet meals and golf outings, from a Long Beach hospital owner and an undercover FBI agent posing as a film executive. Michael D. Drobot, owner of the former Pacific Hospital in Long Beach, pleaded guilty to charges of paying kickbacks in connection with the scheme to perform unnecessary spinal surgeries on patients in February 2014. On Friday, guilty pleas by three additional people, including Drobot’s son, were made public by the Justice Department. Ron Calderon was suspended from the state Senate in March 2014, and his term in office ended nine months later. Tom Calderon represented his Montebello-area district in the California Assembly from 1998-2002. According to the plea agreement signed Monday, Tom Calderon allowed $30,000 from an undercover agent to be funneled through his Calderon Group as payment for his lawmaker brother to support lowering the threshold for California’s film tax credit from $1 million to $750,000. Tom Calderon deposited the $30,000 into the company’s bank account and then wrote a check for $9,000 to Ron Calderon’s daughter, according to prosecutors. “Defendant conducted these financial transactions in order to conceal and disguise the fact that the money represented the proceeds of bribery,” the document states. A series of Hews Media Group-Community News investigative articles were instrumental in the arrest and now conviction of the Tom Calderon. In 2013, in an exclusive interview, Michael Franchek, the owner of EccoGreen Services based in San Diego County, told Hews Media Group-Community News that he had been interviewed extensively by agents of the Federal Bureau of Investigation regarding a complex case of bid rigging and influence peddling that directly involves former Assemblyman Tom Calderon, and former Bell Mayor George Cole. Documents obtained by Hews Media Group – Community News in 2013 confirmed a Los Angeles based consulting firm, who acknowledged to HMG-CN a long personal relationship with the Calderon family, landed a lucrative public contract in November 2011 to help redraw political voting lines for the Central Basin Municipal Water District, despite the fact that they were the least qualified and the highest bidder. HMG-CN was first to report that California State Assemblyman Ian Calderon donated $10,000 to his father Charles Calderon’s campaign for Los Angeles County Superior Court Judge this past Monday, according to documents filed with the California Secretary of State.